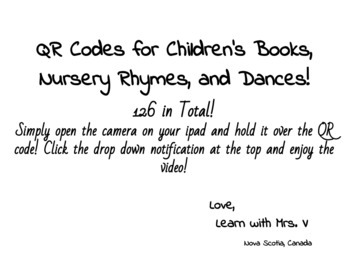 QR Codes for Books, Nursery Rhymes & Dances! 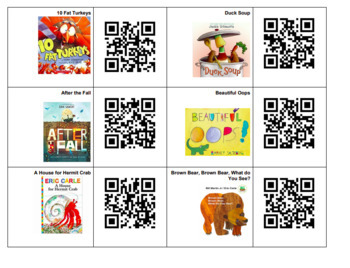 126 QR codes that will allow your student's to explore a great variety of books by many notable authors, famous nursery rhymes, and "Get up and move" dances! ENJOY 6 FREE QR CODES! Preview picture shows what the file will look like after you purchase! 120 more after your purchase them!